Quirk Books is putting out another Star Wars Shakespeare book, this time for The Last Jedi. 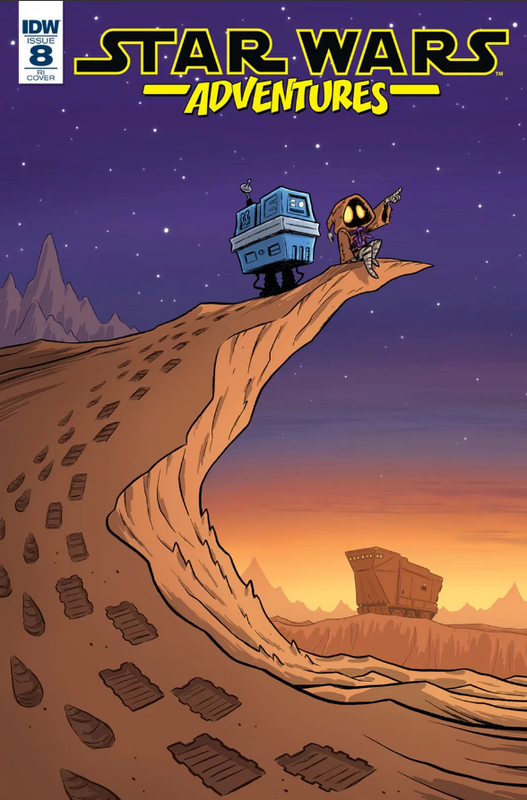 Once again being written by Ian Doescher, this one will be titled Jedi the Last and will be out on July 10th. StarWars.com has a look at the cover and an interview with the cover artist, Nicolas Delort. StarWars.com has an excerpt from Thrawn: Alliances by Timothy Zahn. 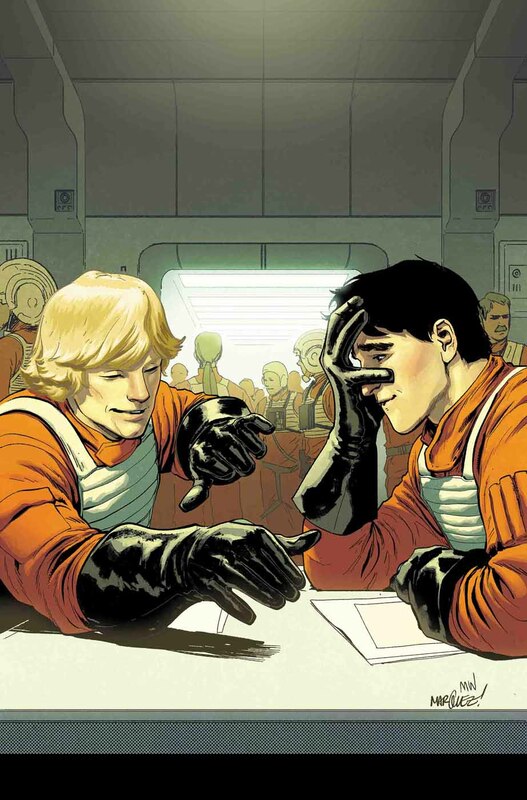 Star Wars: Inferno Squad by Christie Golden came out in paperback this week for those who didn’t pick up the hardcover. 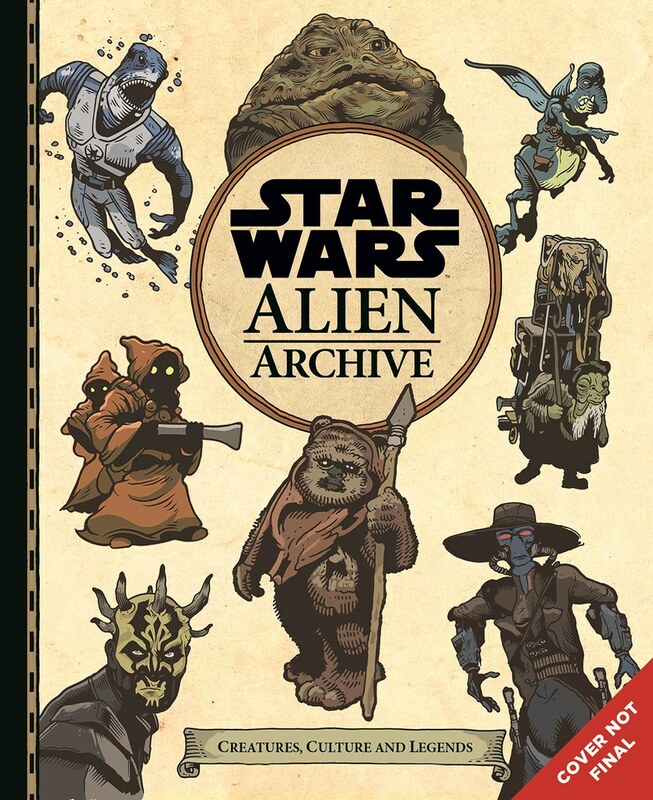 Star Wars: Alien Archive has a cover now. Here is this week’s Podcasts in Review. Wee bit of toy focus in this one as I did some catching up. Beltway Banthas: Interview: Jon Lovett of Pod Save America kicks off with Jon as they talk with him about Star Wars, Rogue One, politics, and The Last Jedi. He shares his thoughts on the movies, and they talk with him a bit on real world politics, as well as Star Wars politics. Fair warning if you listen with your kids, there was an F-bomb or two. Brews and Blasters: Episode 161 kicks off with snow, wine, steak tips, manicotti, and black light posters. When you go off on Star Wars black light posters, you know you’re in for a fun ride. They go over The Last Jedi Blu-ray a little, then Chris presents his sales pitch for the HasLab sail barge. If you haven’t backed it yet, Chris may very well sway you. They also talk about Toys R Us and toy stores, they touch on Forces of Destiny, the Jon Favreau news, speculation on next animated series, and George Lucas breaking ground for his museum. Great episode. Children of the Force: Reaction Corps – Forces of Destiny S2 and Rebels Season Finale covers both shows. They kick off with Forces of Destiny as they go through each of the new episodes for season two, then 30 minutes in they switch up and talk Star Wars Rebels. 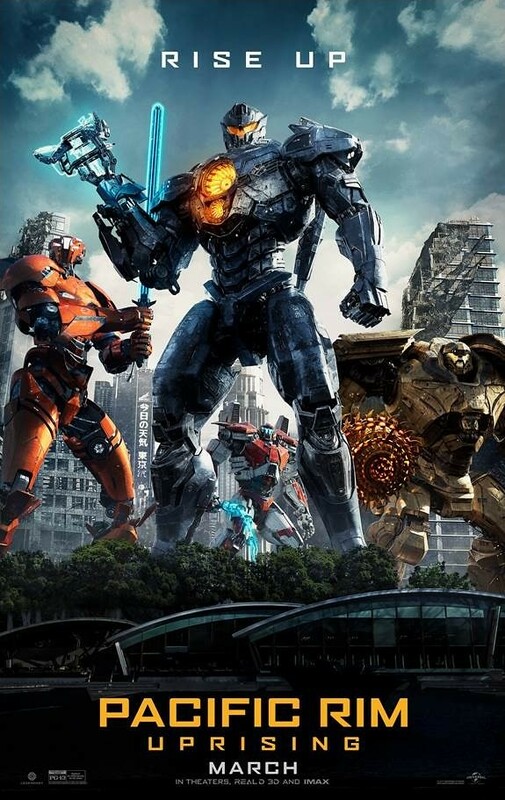 Pacific Rim: Uprising is not better than it’s predecessor, but if you’re looking for a popcorn flick with giant robots and monsters fighting, then you might want to consider this one. It’s not great, but it’s kind of enjoyable. 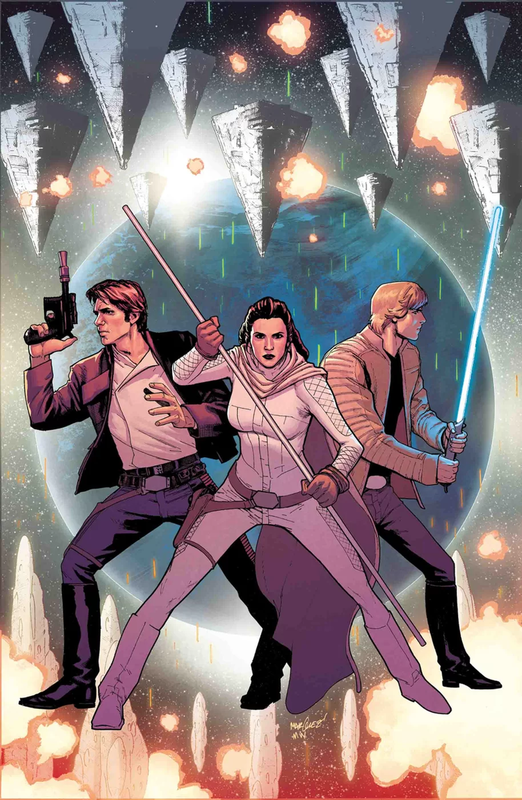 Three new Star Wars comic releases today from Marvel and IDW. The crew of The Ghost are trapped on an Imperial ship with no way out! The space pirate Hondo may be their only chance of escape… but can they trust him not to sell them out? The exciting finale of a two-part Star Wars: Rebels storyline! Plus an exciting new Tales from Wild Space! Latest Databurst From the 501st covering 501st Legion events around the world from March 28 to April 3rd. As always, be sure to mark your calendars and support your local garrisons. Redback Garrison will be at the Lady Cilento Children’s Hospital Easter Party. Alpine Garrison will be in Washington City, UT for The Last Jedi Blu-ray release at Walmart from 5:00 to 7:00 PM. Central Garrison will be in Fargo, ND for Star Wars Night with the Red Hawks at Newman Outdoor Field. Garrison Tyranus will be in Washington D.C. for AwesomeCon from March 30 to 31st. Austrian Garrison will be in Graz for the Elbenwald Store Opening from 7:00 AM to 3:00 PM. Central Garrison will be in Mason City, IA for Inflatable Fun Day at the National Guard Armory. Central California Garrison will be in Lodi, CA for Grape City Con from 10:00 AM to 4:00 PM, and in Clovis, CA for The Dachshunds Strike Back! at Rocket Dog 2 from noon to 4:00 PM. Dutch Garrison will be in Utrecht for Dutch Comic Con 2018. New England Garrison will be in Northampton, MA for the Meltdown Music & Book Festival from 12:30 to 1:30 PM. Northeast Remnant Garrison will be in Wayne, NJ for Zapp Comic Con from 8:00 AM to 7:00 PM. Star Garrison will be in Houston, TX for Yuri’s Night Houston Fun Run, and in El Paso, TX for the 2018 El Paso Stroll for Epilepsy. Timberline Garrison will be in Idaho Falls, ID for the Great Easter Egg Hunt at Snake River Landing Event Tent Area from 9:30 to 11:00 AM. UK Garrison will be in Newbury for the Easter Egg Hunt at Highclere Castle from 11:00 AM to 3:00 PM, and in Basildon for Heroes and Villains at Festival Leisure Park from 10:00 AM to 4:00 PM. Garrison Carida will be in Hershey, PA for the Children’s Miracle Network Annual Miracle Party. UK Garrison will be in Watford for FanZone Comic Con at Watford Central Leisure Centre from 10:00 AM to 5:00 PM. Sci-Fi Weekender Convention is March 22 to 25 in Wales, UK. Star Wars guests include Kevin J. Anderson, Alistair Petrie, and Hugh Quarshie. Indiana Comic Con is March 30 to April 1 in Indianapolis, IN. Star Wars guests include Timothy Zahn. Author Kevin Hearne will be in Scottsdale, AZ for a Scourged signing at The Poisoned Pen on April 3 at 7:00 PM. Author Kevin Hearne will be in Boulder, CO for a Scourged signing at Barnes & Noble on April 4 at 7:00 PM. Author Kevin Hearne will be in Houston, TX for a Scourged signing at Murder By the Book on April 5 at 6:30 PM. Author Kevin Hearne will be in Huntsville, AL for a Scourged signing at Barnes & Noble on April 6 at 7:00 PM. Author Kevin Hearne will be in Doylestown, PA for a Scourged signing at Doylestown Bookship on April 7 at 4:00 PM. Blast Points Podcast: Episode 114 covers the Jon Favreau news, the Star Wars Denny’s crossover, a deleted scene for The Last Jedi, Mark Hamill’s star ceremony, and then they talk Star Wars Rebels. They talk about the show in general, the last couple episodes, and listener feedback. Great discussion. Blast Points Podcast: Episode 115 starts with the news as they talk about George Lucas breaking ground for us narrative arts museum, some info on The Last Jedi novelization and Master Codebreaker, then they go over Star Tours for their main discussion. They cover how it came about, initial concepts for the ride, how it went from Star Ride to Star Tours, the original idea for Captain Rex, the cost, the opening, and the revamp. Good episode. Brews and Blasters: Episode 160 covers a variety of topics. They talk about a deleted scene from The Last Jedi, trees, Boba Fett, the Solo poster controversy, John Williams, they tackle some listener emails, discuss which version of The Last Jedi Blu-ray they want to get, and they talk about the World Between Worlds gateway. Fun episode. 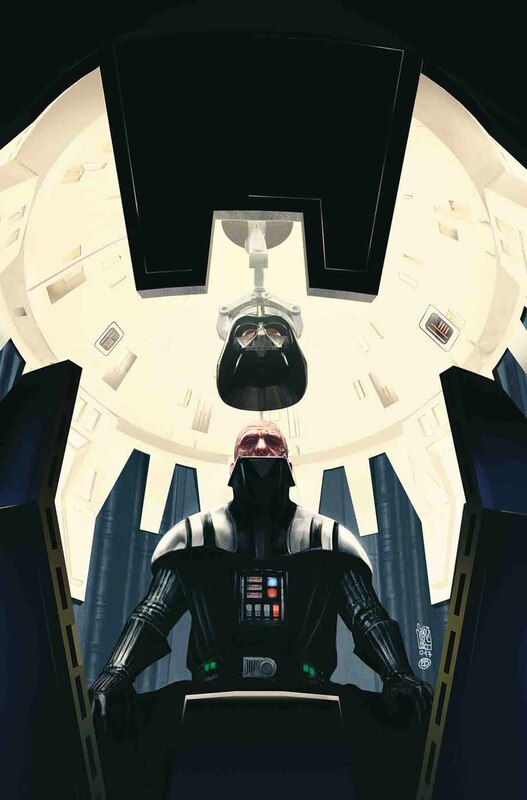 Darth Vader #13 switches gears as the action heads to Mon Cala and an all-star cast. Click here to read our full review.